5.13 is the Mid-Season Update for SMITE, and boy is it a huge one! There’s a lot of love for supports here, from EXP to awesome skins! There’s the return of masks, a commendation system, and since there’s simply so much to talk about, we’re focusing primarily on the new/changing features. This is also a disclaimer since I know there are bound to be changes/adjustments to the exact numbers of this update, so this is a bit of a prelude. As these change and update, I’ll probably come back to it at the end of the week/beginning of next week, depending on what goes down. Oh man, it’s that time of the year! We’re getting closer to SMITE Worlds and with that, we have the first iteration of changes for the Mid-Season Update. Please note that the patch notes linked below are not final, there are without a doubt going to be changes to the numbers, items, gods, and more featured there. Some gorgeous skins (A new Ganesha skin that’s amazing? An adorable version of Cerberus? It’s good stuff, guys. Love it! ), some very major changes to gods, but I want to highlight the most impactful things to me personally. So let’s start with the part of the game that turns me off the least: Ranked. I’ll be the first to tell you that I’m mediocre at best at Smite. I’m a reliable support, but everything else is mediocre, and that’s being generous. Playing a support at low levels in Ranked (Bronze/Silver) can be taxing mentally, because you get into groups/pre-made that are toxic, awful, and absolutely refuse to communicate/work with anyone but the person they brought with them to the dance. The quality of matches is terrible, and I cannot even tell you how many games I had where someone at the very start disconnected, especially when it was time to do placements. Did their only god get banned? Disconnect. Did someone take their role? Disconnect. Feed first blood/not buy the item that was suggested? Disconnect. Players think that if they’re going to be “guaranteed to lose points” that everyone must lose. With this in mind, a few major changes went into ranked. The Early Surrender system was changed, and players will be able to surrender before 10 minutes if a player DCs and within the first three minutes has not returned. While that’s great, the best part is Active Players on the losing team lose 0 TP, and the DCed player will lose twice the normal TP they would have lost. Winners receive half of the TP they would have normally received. That’s what makes me happy: Those people who want everyone to be punished, will be the only one who is punished. However, Joust can still have 3-person queues, so rejoice, Joust mains. But that’s not the only negative in Ranked, and parties are another bane of the experience. I’m sure there are streamers, pro players, and smurfs that are salty and surly about this, but not me! Ranked Conquest will no longer allow parties of any size, and it’s mostly tied to the “Timed Queue” that I’ll discuss momentarily. This could be the other big change that brings me back to try Ranked again. It was no longer fun for me to stream or to play in my off-time because it was filled with toxic groups, and groups that were willing to have someone dodge just to make the game worse for others, and punish people for not “doing things their way”, which is awful. I don’t like being held hostage (who does? ), and whatever the reasons, I’m happy about it. Timed Queues are apparently coming back, but in a way that is different from the old way of doing things (I wasn’t here for this originally). All queues will have a timed system but is also linked to Matchmaking, where they’re hoping it will handle players at the extreme top and bottom of the MMR system better. The best players will be queued together at the top and will group players into larger pools. Some modes will have better times than others, and players will know exactly how long they have until a match. From what I understand, it won’t have penalties for not accepting a match anymore either, which is lovely. Speaking of Assassins/Junglers, Conquest Buffs were nerfed! Speed Buff, Red Buff, and Blue Buff all received a mild nerf, and I love this because Purple Buff got buffed! Yes, I’m biased, yes this is solely because it’s the Support Buff (but I’m sure that now we’re not going to get it as often because of greed!). Now it offers more debuffs for more enemy gods around you (within 55 units), and it can stack if two players on your team have the Purple Buff. This has always been that way, but it’s way more enjoyable now. Commendations are a popular way to promote positive behavior (in theory if not inception) and will allow players to offer praise for players who were beacons of positivity, teamwork and goodwill on their team. Players will gain points from being commended, but you can’t just group up and have your friends commend you – a player can only commend you once, and that’s it. So if you want the points for chests, you have to be a good person in game and get new people commending you. I just hope this doesn’t lead to people begging for commendations. There are also Yearly Rewards for people who aren’t banned at all for the season, and players who are problem players are going to be tracked better. Players that have a lot of issues will likely have a popup after a match that says “Hey, this person is reported frequently, did they do anything this game?”, or something to that effect. 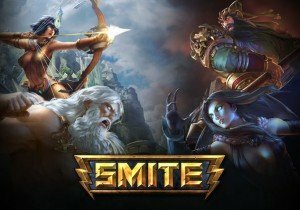 In addition, Hirez is increasing support for negative behavior, keeping a better eye on problem players to make it a more positive environment for everyone. A final note, players who abuse VGS might have their ability to VGS restricted, meaning there will hopefully be less spam. This is just a smattering of the updates, and as these change, I plan on doing an update if I can. What about you? What are you excited about? The Freya rework? Ravana being listed as an Assassin? After several beta tests, live conventions, media and press showcases, Boss Key Productions has unleashed their premiere FPS title. WEBZEN announces that multiple titles in its current line-up are celebrating Christmastime with special seasonal events.